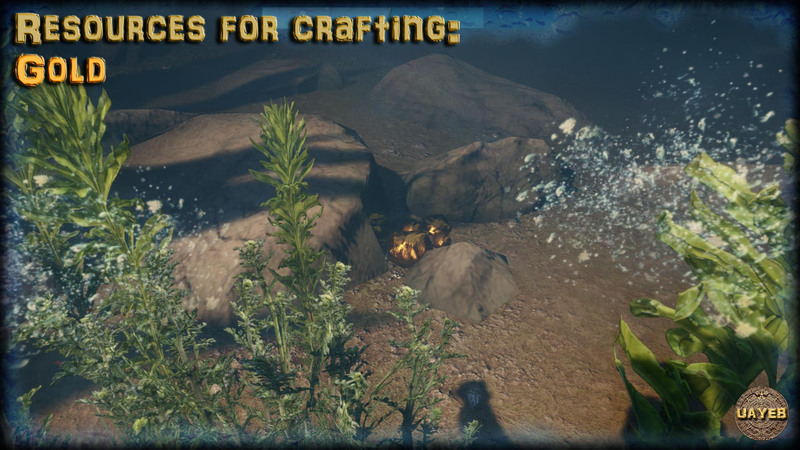 Check out the 6 screenshots of the first resources for crafting in UAYEB. 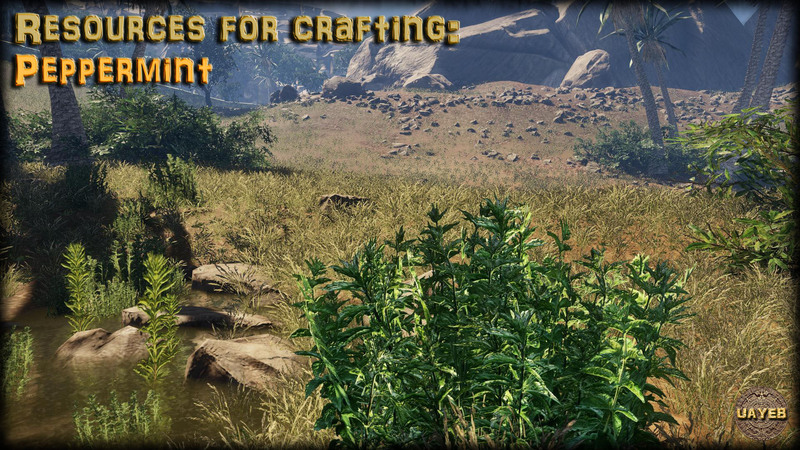 This is the first list of resources you will get in UAYEB. 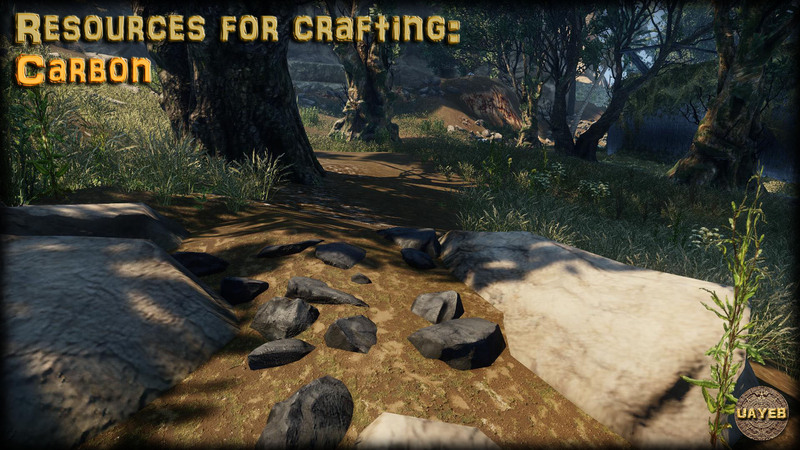 The resources are used for crafting objects and equipment. 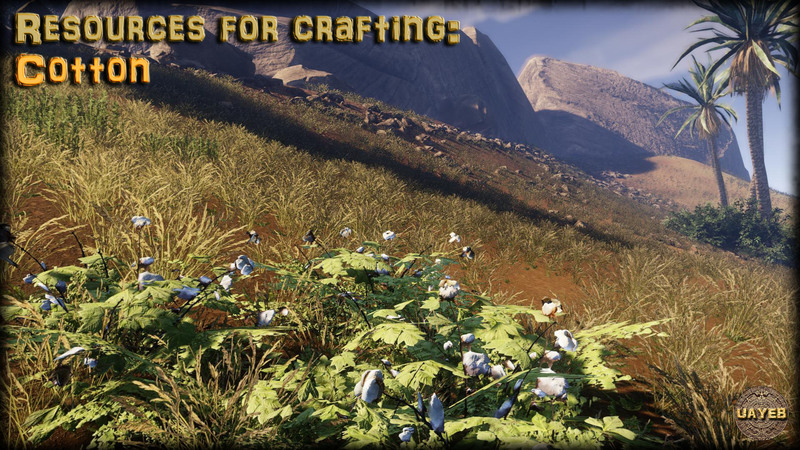 Cotton: This will be used to create bandages. Peppermint: This will be used for making pills in a medikit. 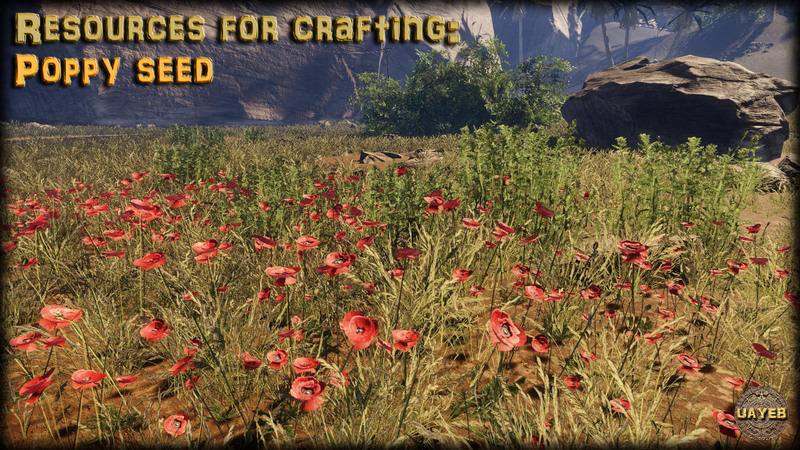 Poppy seeds: These will be used to create medikit, it will decrease pain. Gold: It's great to find gold! But hey, here money has no value. This will be used for connecting electronic devices. 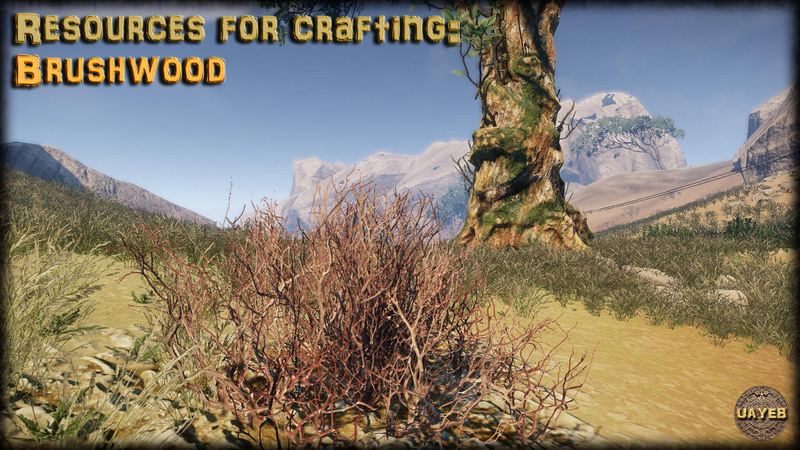 Brushwood: This will be useful to make a campfire. Carbon: Many uses for that, mainly to create ammunition.